Stella & Dot Jewelry- item of your choice, under $75! Rufflewood Linen Napkins (set of 4) in the color of your choice. AND... because this blog is all about life with little girls, we're going to celebrate our little ones by throwing in a couple goodies for them, too! 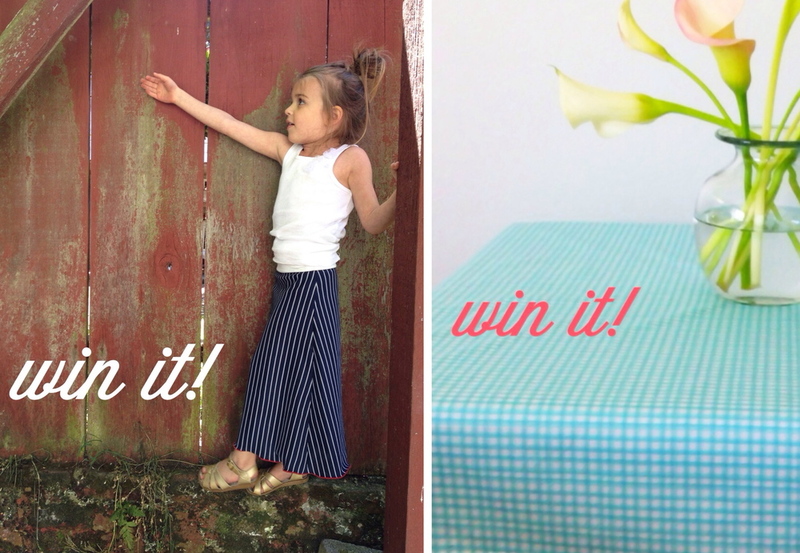 First off: Sophie recently got the absolute CUTEST skirt from Hemmed In, and the winner of this giant giveaway gets to pick one for a little girl in your life! They have maxis and party skirts, but I'm partial to this stretchy mini maxi... so is Sophie. ;) (and YES, she was climbing trees and walls with it, just like normal). The other thing one lucky little girl gets if you win is my favorite Rufflewood Gingham Tablecloth. It's 36" square, which is perfect for a standard children's table like ours, and it totally gives your kids the full "tea time" or snack time experience. The gingham is SO ideal for summer, and it comes in three bright color options for ya. Any girl would want that little skirt & tablecloth... wishing both came in my size! SO, enough reading! Just follow the directions below on our Punchtab raffle and follow us and share about us, and enjoy the whole week of wishing & hoping and wishing & hoping that the winner will be YOU. That, AND enjoying the beauties of your other new favorite bloggers: Delighted Magazine & Pocket Stylist. We're using this new program for the giveaway called Punchtab. 2. Follow us & share on all the social channels! You can SKIP any step you'd like, or use every step and get as many entries as possible! 3. I'd love to have you leave a comment letting me know what you're most excited about winning! Open to U.S. residents only. Contest ends next Friday- May 3!! Tell your friends and friends friends. OH, and the girls' skirt & tablecloth were provided to us and you so kindly, and all opinions of them are my own, of course.